Barnstable, MA – February 7, 2019 –Kinlin Grover Real Estate, part of The Randall Family of Companies, New England’s coastal real estate specialists with 35 offices and more than 650 agents across RI, CT and MA, announces the sale of 773 South Main Street in Centerville. 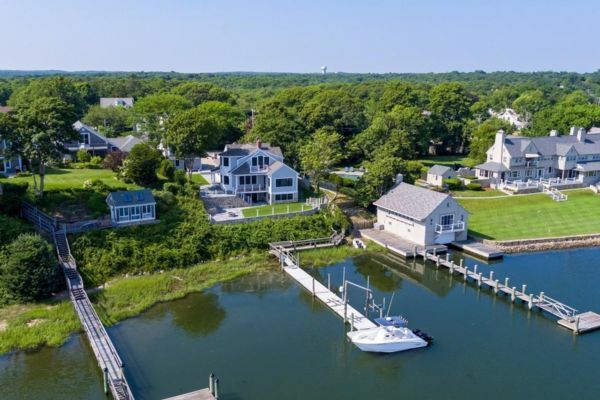 The property’s sale price was $3,300,000, the highest in Centerville in the last 12 months, according to the Cape Cod and Islands Multiple Listing Service (CCIMLS). The home was listed by Kinlin Grover agent Rick Shechtman and closed on January 22. Located on Nantucket Sound, the charming Cape Cod estate, located in the heart of prestigious South Main Street, features panoramic water views, a private beach, and deepwater dock. It combines old-fashioned charm with custom and updated amenities throughout. “With its custom stone work, an adjoining carriage house, deepwater dock and water access, this home is truly special as a vacation or year round property, and the new owners are sure to make many memories here,” Shechtman said.